WHAT IS THE MAXIMISE POTENTIAL WEBSITE? To be successful in life, careers and business takes a constant desire to learn and educate yourself AND by doing it, you will reach your goals and become a high achiever. Maximise Potential is here to help you become successful in your life by offering free coaching and mentoring through a series of unique interviews from inspiring people, all of whom have donated their time free of charge, who all display exceptional self-belief, mental toughness and desire to achieve. They inspire and educate others by sharing their understanding of NLP, learning techniques, successful management styles, mental skill development and self-motivation methods - everything you need to become successful in your own life, career and business. Subscribe to our FREE podcast and take your next step towards maximising your own potential and being successful in life. WEBSITES WE LIKE & PEOPLE WE FOLLOW! Copyright Maximise Potential Podcast. All Rights Reserved. Maximise Potential is sponsored by The Jenrick Recruitment Group. 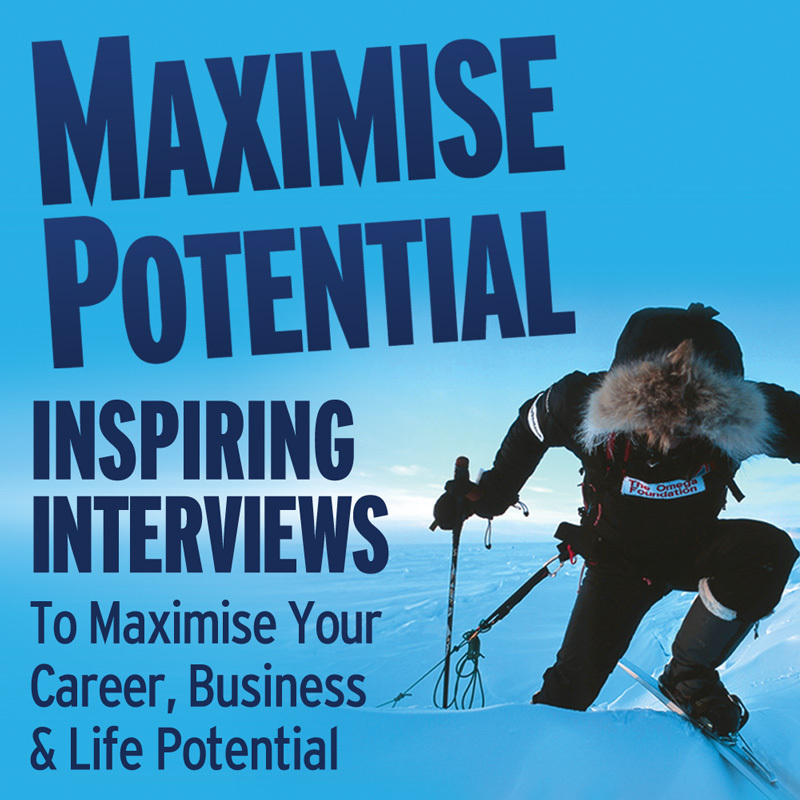 "Be successful in Life, Careers and Business through original inspiring people interviews" - available exclusively through the Maxmimizse Potential Podcast.